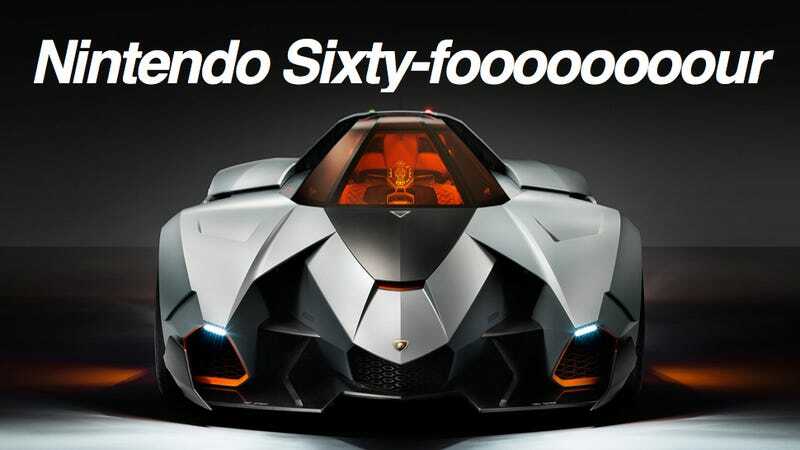 Over the weekend, Lamborghini unveiled its new concept car: the Egoista. The design is rather unusual, even for Lamborghini. Some hate it! Some like it. Some are even comparing it to geeky things. There's the obvious comparison—namely, that the one-seater looks like the Mach 5, the iconic car from Speed Racer. Load of people on 2ch, Japan's largest internet forum, seem to think that. They also think it looks "too dorky". How can the car from Speed Racer be dorky?! Madness! Others thought the Egoista looks like those Tamiya toy cars. That's not the only comparison: With that gray color, the front of the car sure looks like the Nintendo 64 controller. Our colleagues at Jalopnik have a defense of this batshit insane looking car.